When you’re facing a divorce, it’s inevitable that you’ll encounter worries about just how much you stand to lose. You’ve worked hard in your career, at home to raise the children, or both — and you don’t want to see what you’ve worked for crumble away in a divorce. Wirth Law Office – Tahlequah is dedicated to helping Cherokee County residents facing a divorce protect what matters most. We’re here to protect what is rightfully yours from being ripped away in a divorce proceeding. Deciding on a divorce is one of the most difficult decisions a person can make. We’re here to make it easier to protect your hard-earned finances, properties and, of course, your children. 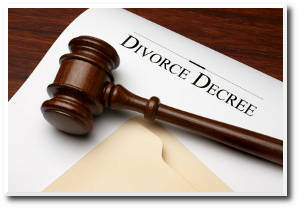 As a Tahlequah divorce attorney, I provide aggressive divorce representation for men and women around Cherokee County. It happens to even the best of couples. Over time people drift apart to a point where it’s time to part ways. It happens more often here in Oklahoma. We’re near the top of the list nationwide when it comes to the number of divorces. Now, you are ready to take that big step but you need someone who can protect your interests in a Cherokee County divorce court. Whether you have reached a friendly agreement for an uncontested divorce, or you need a solid ally in a high-conflict contested divorce, let the Wirth Law Office Tahlequah attorney’s knowledge and the depth of experience provide you the assurance you need that you have the skills at your side to achieve the best possible outcome. It’s easy to be tempted into a low-cost website that promises to provide you all the forms you need to save money in your divorce. When it comes to your life, trying to save money will probably hurt you down the road. Those internet sites treat every divorce as though it’s the same. As Tahlequah divorce attorneys, we know that no divorce is the same. This may be the most difficult change in your life personally and financially, so you need need someone who knows all aspects of divorce, and that’s where we come into the equation. Whether you’re a young couple with no children or a couple with large assets and children, we’ve helped others just like you understand the many financial, child custody and child support options available. We’re here to listen to your many questions as you consider a divorce. For a free initial consultation, in Cherokee County, rely on the knowledge and resources of an experienced Cherokee County attorney; call the Wirth Law Office – Tahlequah at (918) 458-2677 or toll free at (888) 447-7262 . There’s no obligation and your correspondence is confidential. If you prefer written correspondence, you may aslo send your legal question using the form at the top right of this page.